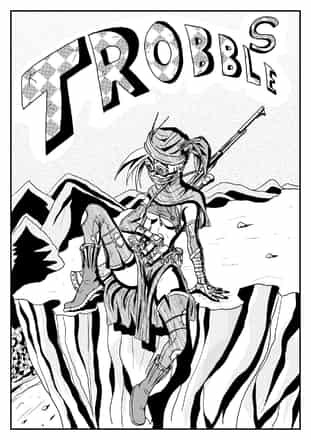 Hi, Trobble S is a manga who i made in collaboration with the writer Kitsune Havoc (https://kitsunehavoc.deviantart.com/). I will use this project for gaind some skills in this type of art, also train my english in the process. A better will made a better intro of the manga in other time. PS. This is my first digital manga too. Each cheapter is in a format of 15 pages, in American oriented reader. (Read from left to right just like a comics).